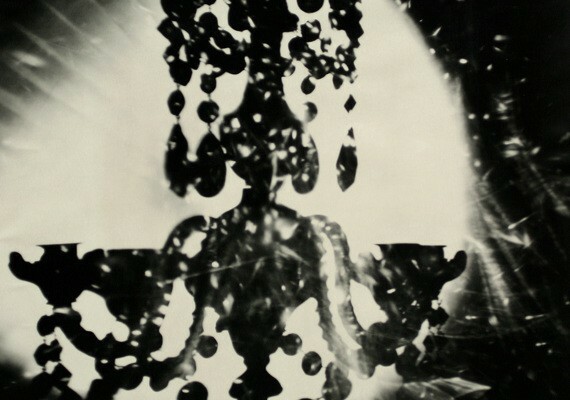 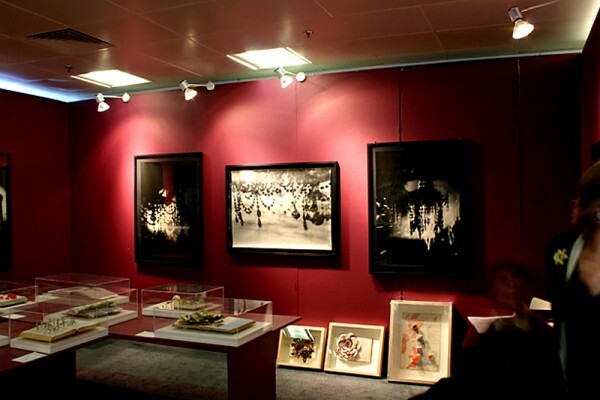 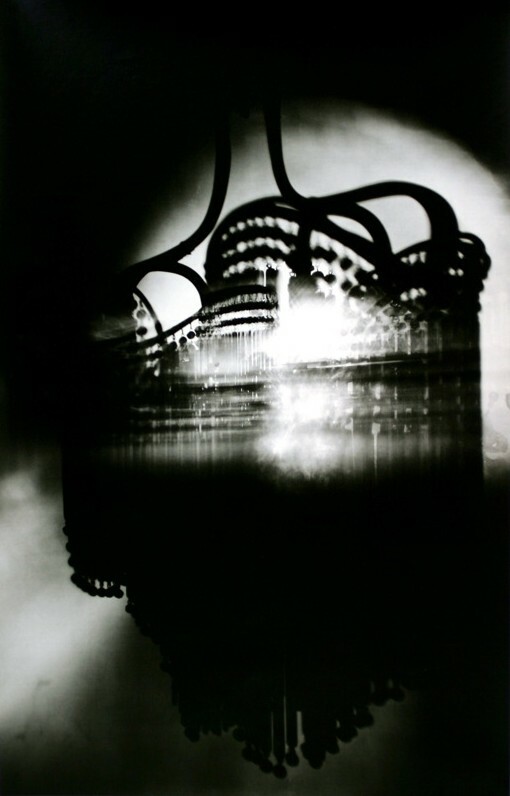 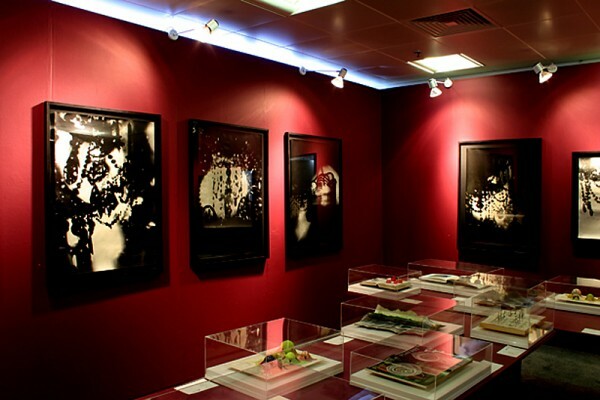 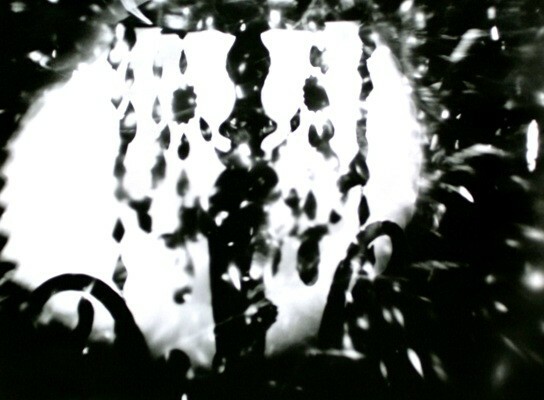 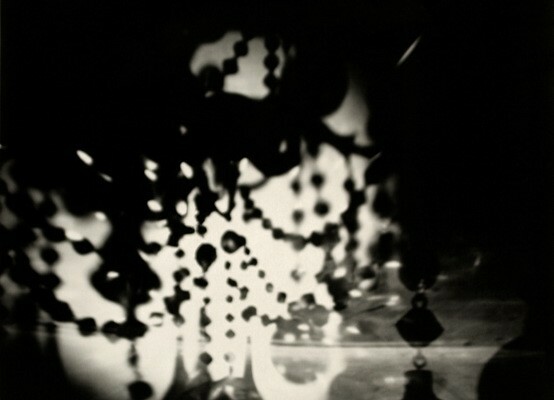 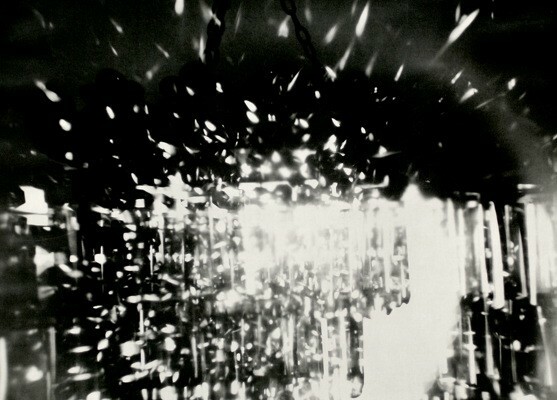 ‘Optic’ (2004) is a series of 12 photographic prints which use projections of light to animate an extraordinary emporium of antique chandeliers. 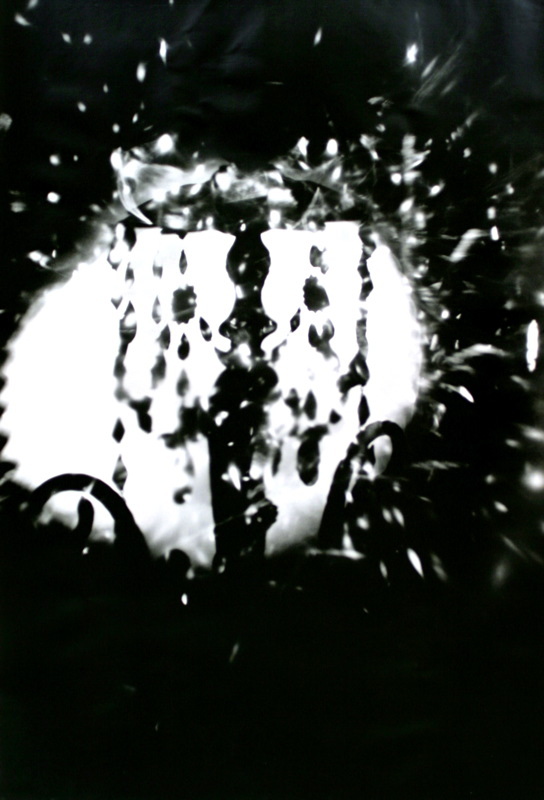 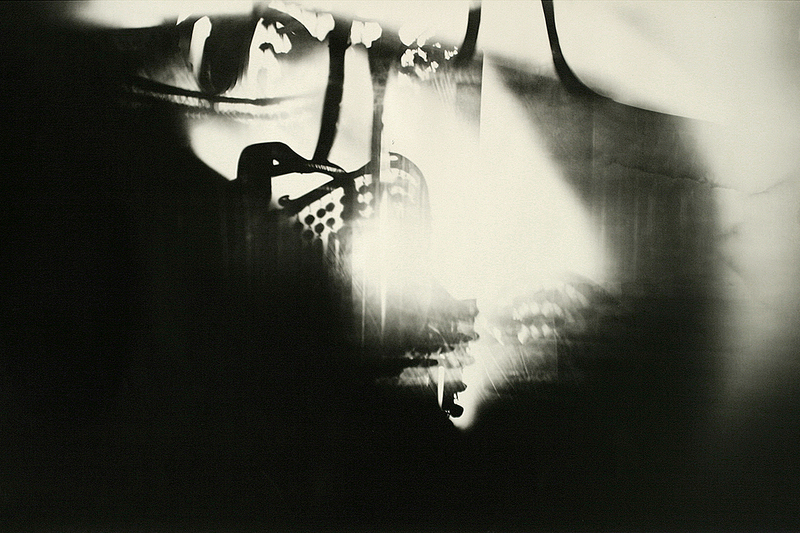 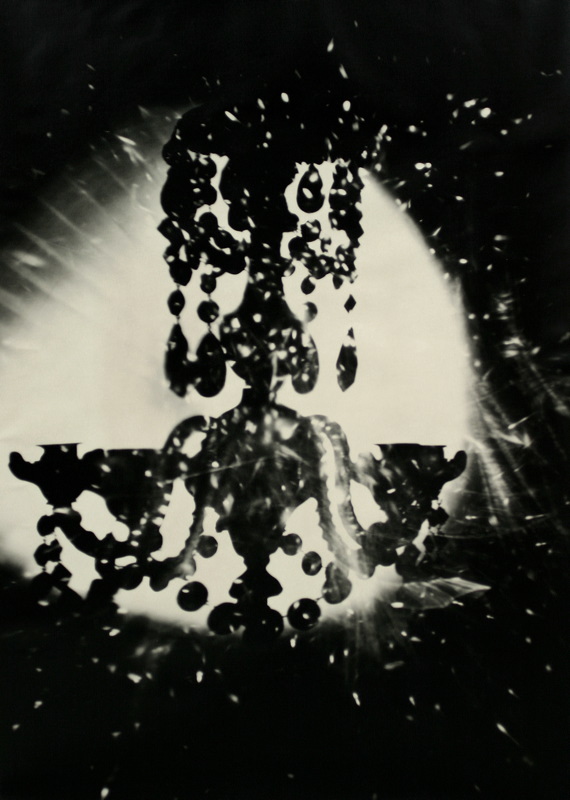 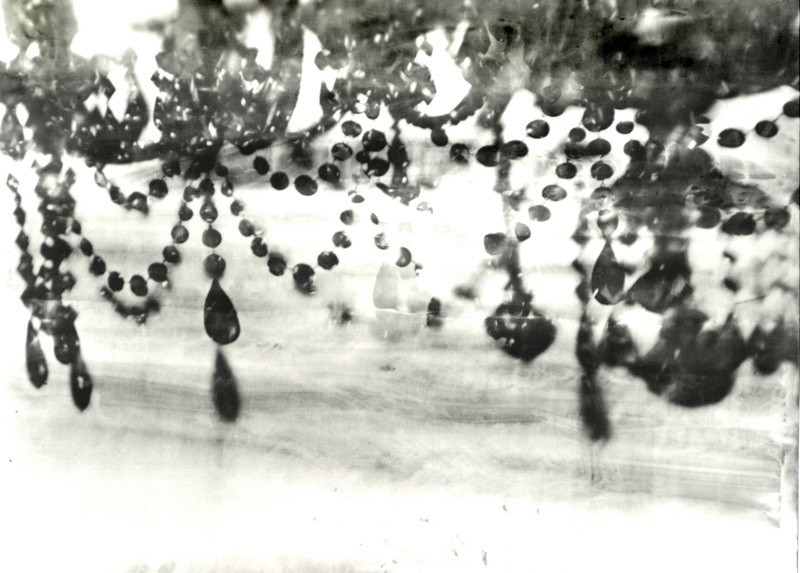 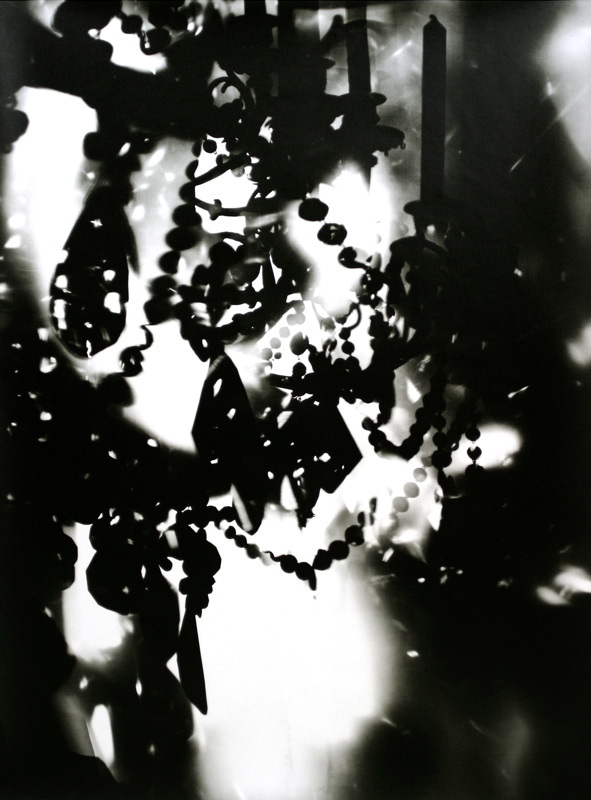 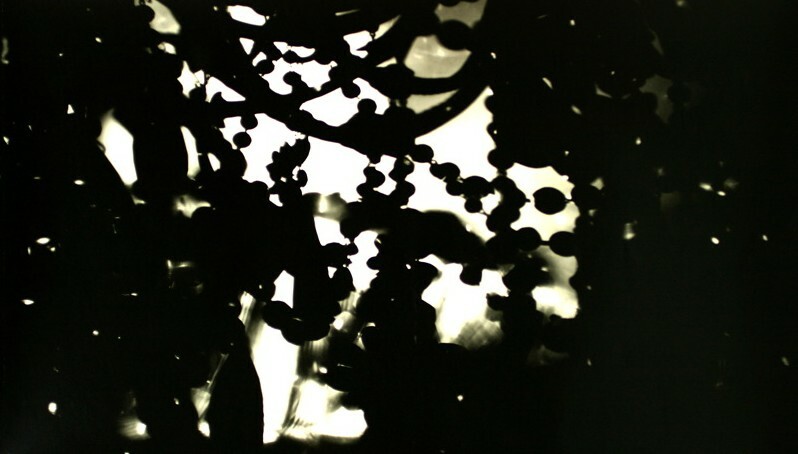 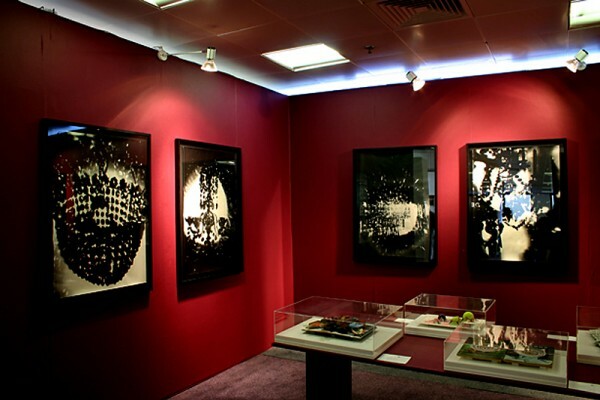 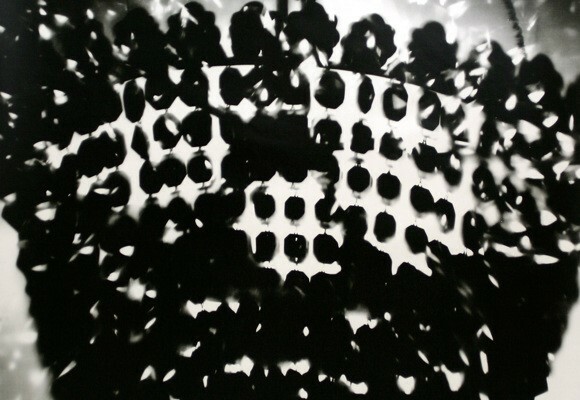 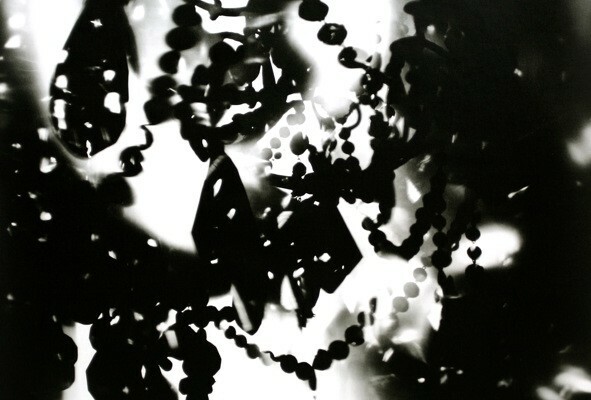 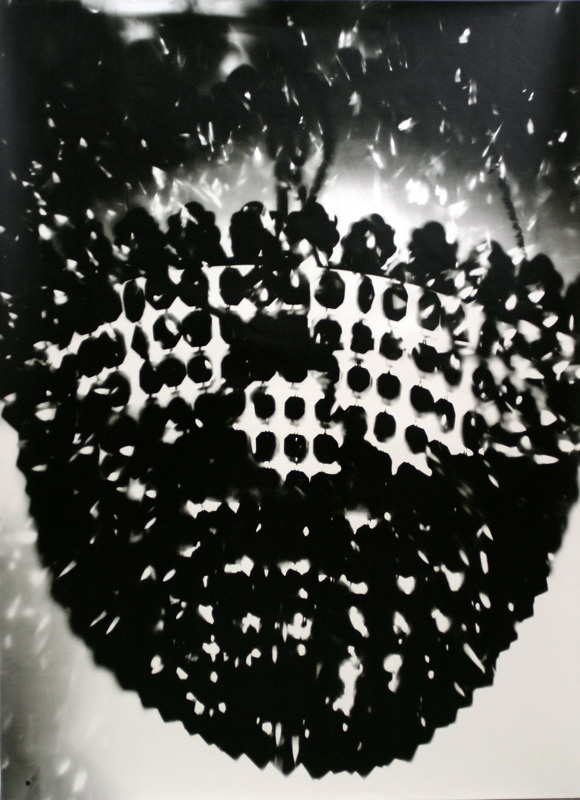 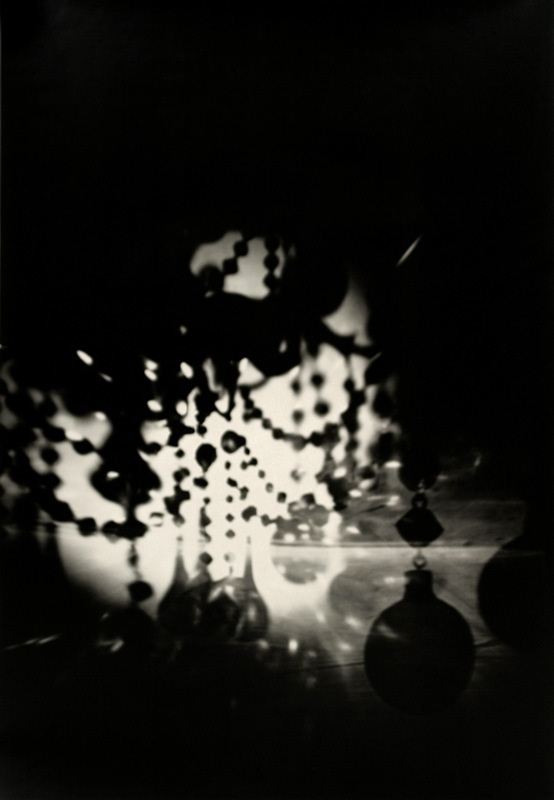 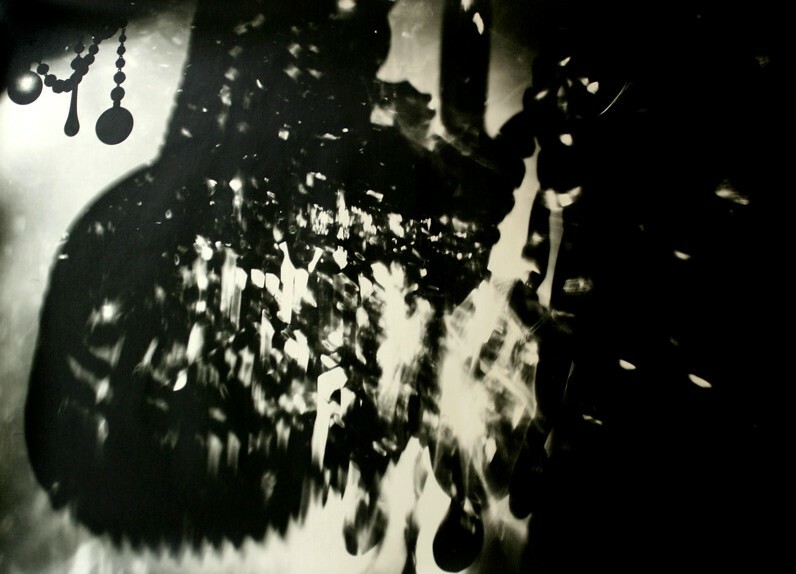 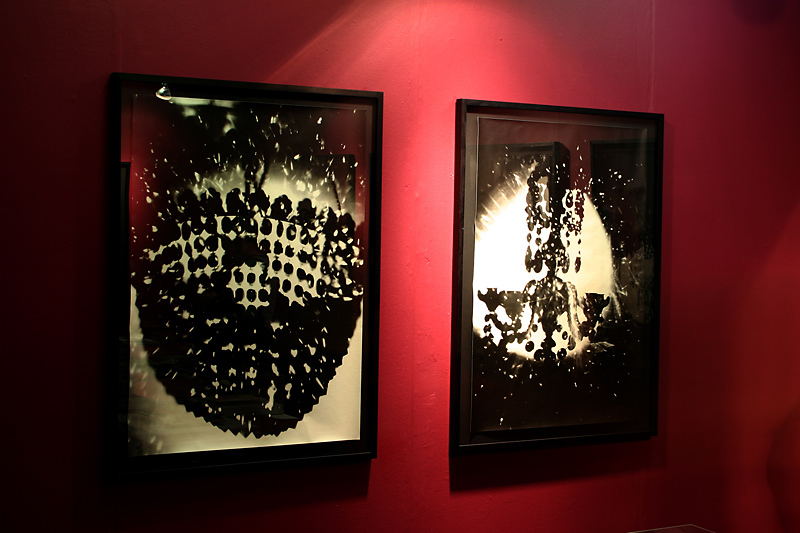 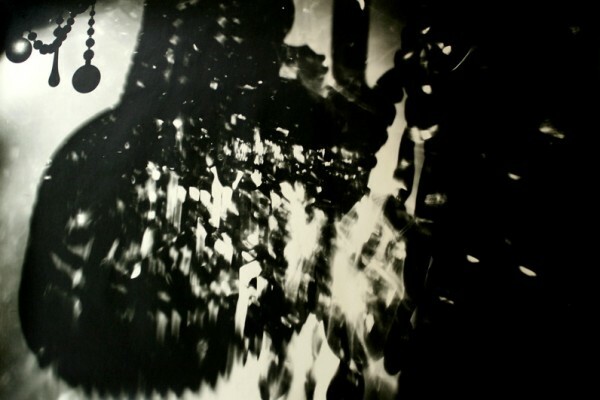 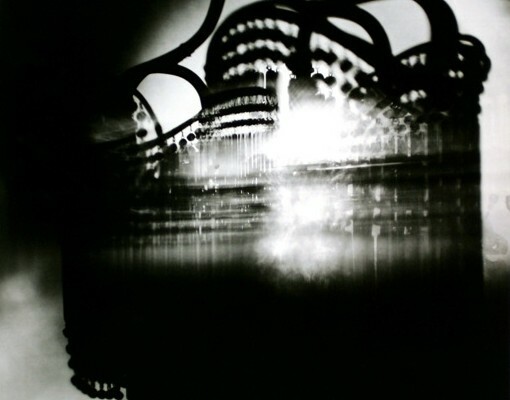 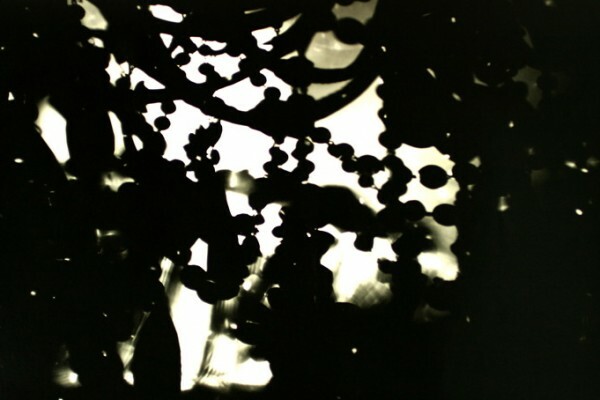 These large-scale black and white photograms are created by exposing chandeliers directly onto photosensitive paper, rendering the physical impressions of light dispersed by the glass. 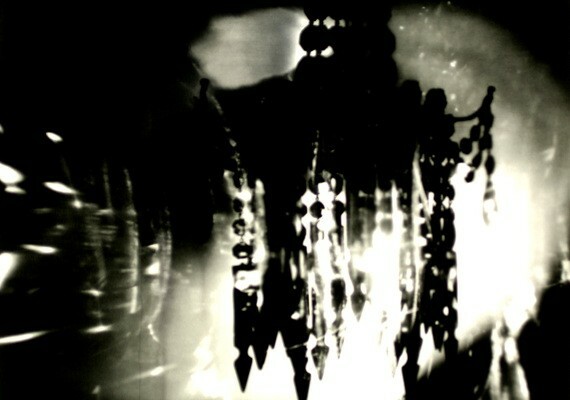 Each chandelier fragments light in a different way, casting dazzling explosions of refracted light and distorted shadow. 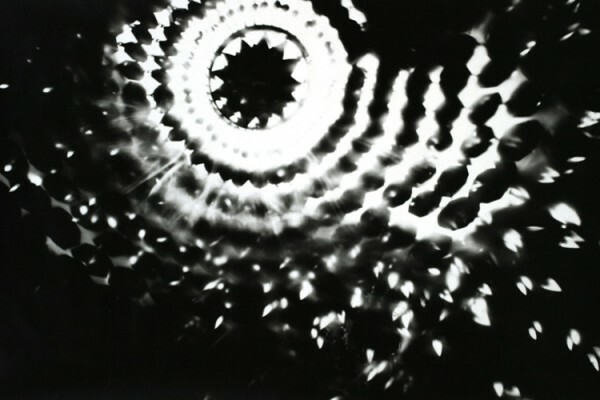 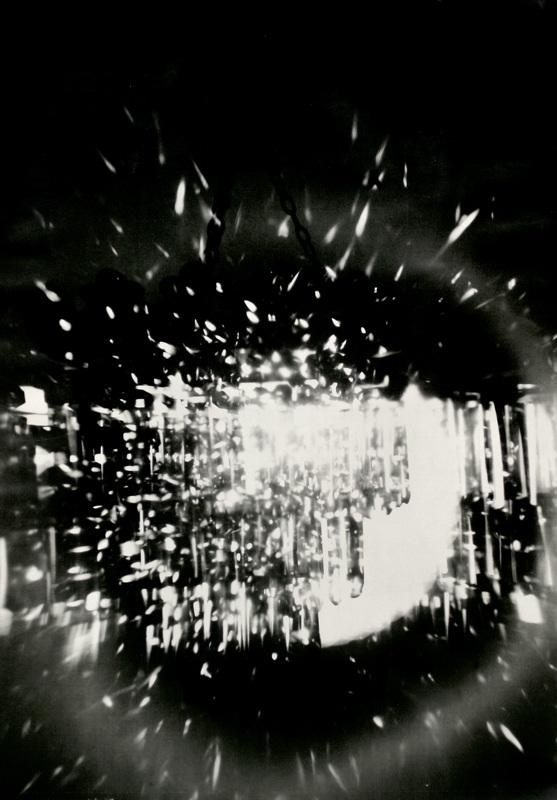 The images represent a diagramatic record of the motion of light -a process both of abstraction and visual expression which was pioneered by early Modernist artists such a Moholy-Nagy and Man Ray who described this very elemental photographic process as an ‘intensely visual exploration of material and form, which explores the interplays between sculpture and photography – between object, image and shadow’. 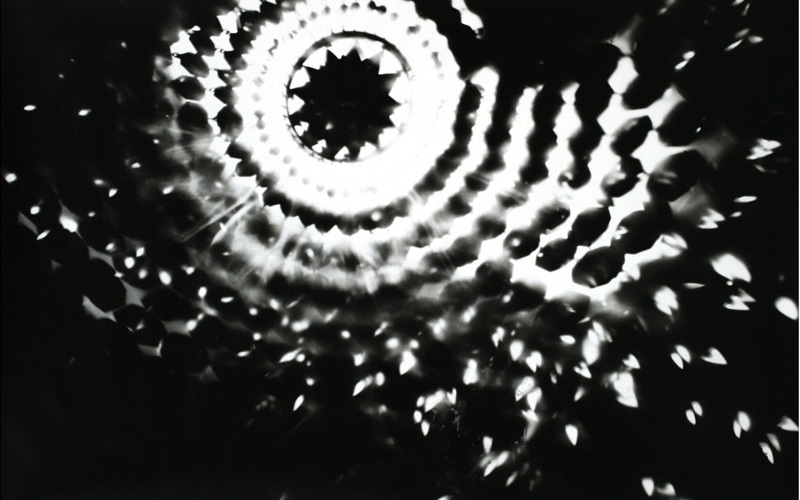 This new series has developed from an enduring fascination with glass, and results from long-term experimentation with light projection. 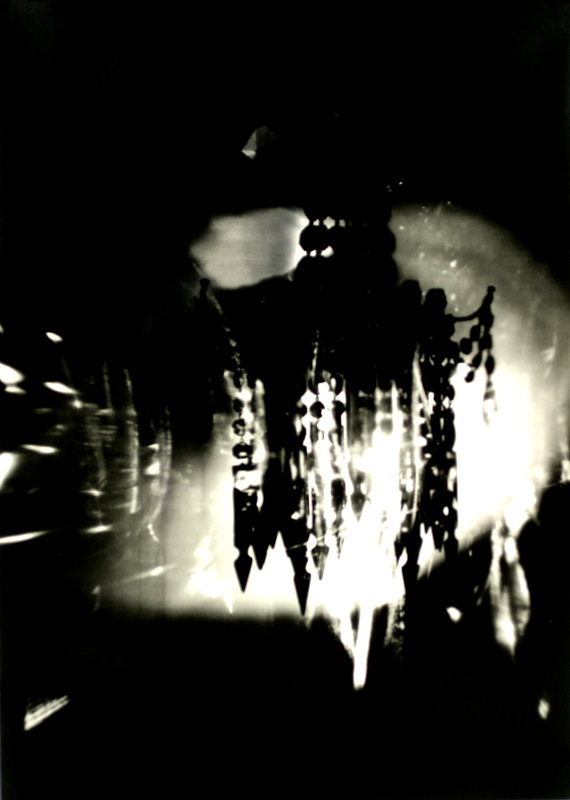 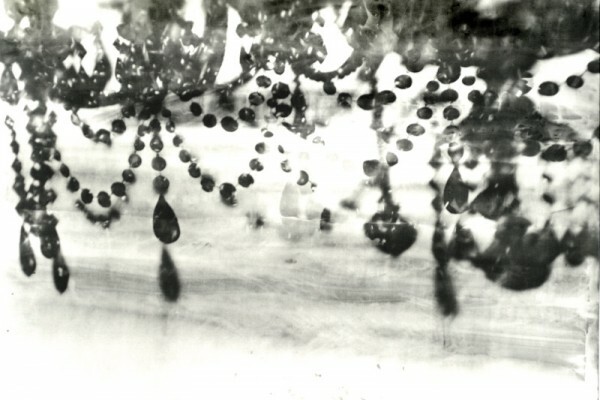 The development of this major new work was kindly facilitated by Denton Antiques in Kensington, London, who offered unfettered access to their outstanding collection of chandeliers, and by artist Melanie Manchot, who donated a large roll of photographic paper to the project and thereby encouraged new experimentation at this scale.